More than 78,255,600 beer lovers served! 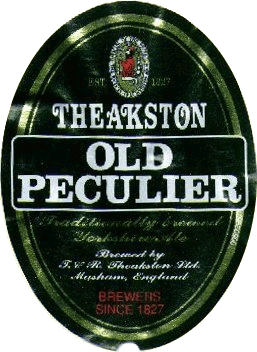 The Theakston family reclaimed their brewery from Scottish & Newcastle in 2004. Bright deep red. Thick head. Mild dark caramel. Mild dark fruit. Medium body, creamy. Dark caramel malt, nicely sweet. Mild diacetyl note. Lots of sweet malt in the finish. Deep bright brown, thick head. Moderately roasty aroma, with lots of diacetyl. Medium body, lots of diacetyl flavor, lots of caramel, some roast. Too bad...this is usually a very good beer.